It seems a while ago now but we had a lovely two weeks off on holiday. 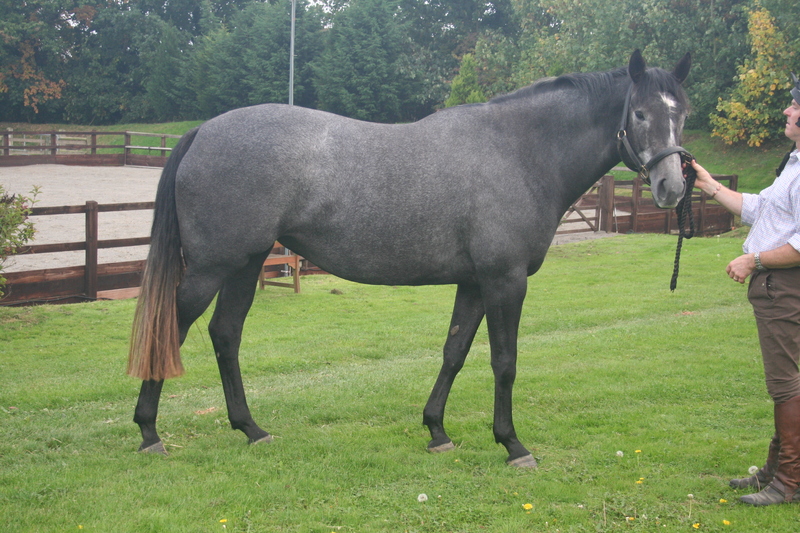 As soon as we got back my last schooling livery of the year ‘Holmes’ moved in. He stayed for two weeks to have his flatwork smartened up and a bit of boot camp for his mother, and he really made progress in that time. He was such a nice boy to work with, a real genuine chap who tried his best. Also in our first week back Uncle Nick (Coles) came to do the horses’ teeth; just their routine six monthly visit. He has a great way with the horses so the girls are all very relaxed with him, even Lexi who hadn’t met him before. Am looking forward to this coming up on a Google search “Nick Coles, great with the girls”……!! We had our last rather impromptu XC school of the year at Bonfleur with ten riders. Bonfleur is always great, the course is evolving all the time and we can school a very mixed group together. The weather was very kind to us and everyone had a fantastic day. The fake ducks in the water caused us a fair bit of drama but everyone got their feet wet in the end thankfully! Tinka has gone home for four months and in her place we have the four year old unbacked Jasmine to play with. It has been a bit of a shock for her being at a new place and looking out onto a very different yard routine. 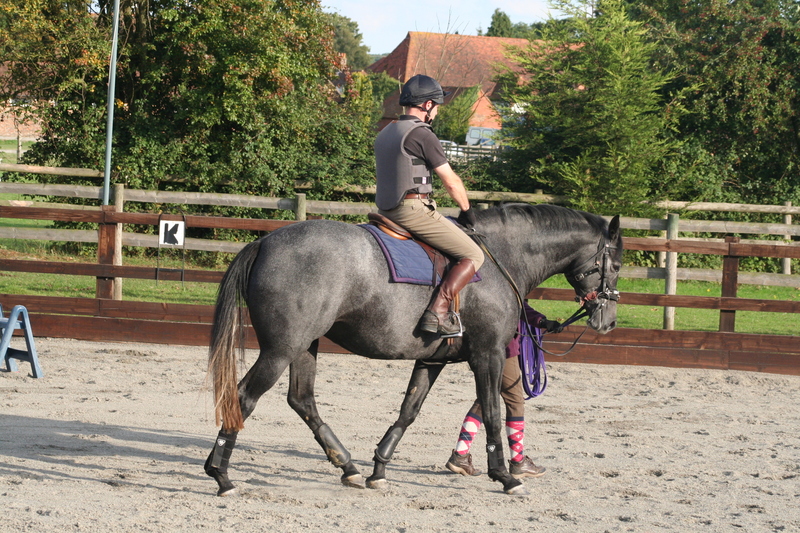 That and the fact that Martin had boots, a roller, and a bridle on and lunged her on day one. On day two he leant over her and by the end of week one he had sat on her and had a walk around the school. That’s the easy bit done and now the hard work of educating her starts! On Saturday Louisa’s groom Ellie was working, and she had to go out to the far end of the field to check that Jasmine was OK. She was laying on her front with her head and neck stretched out forward on her chin in a most unusual position and Ellie was starting to panic. No need, she had crashed out sleeping! Ehren and I decided to head off to Stilebridge BD; her first outing in three months with me being so busy during the Summer and also since getting a bit worried by the Hickstead Masters Semi-final and the Regionals at Addington. She knows Stilebridge and it is a lovely relaxed venue so I was hoping for a nice day out for her to boost her confidence. 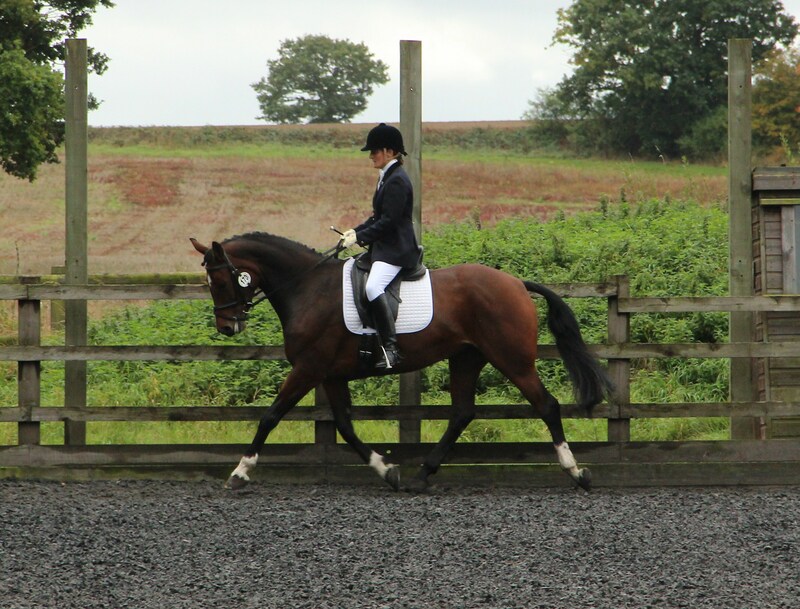 I was absolutely delighted that she won both the Novices overall with two scores in the 70% club. What a superstar girlie she is! I keep saying this but I have a renewed plan of getting her out and about to different places this autumn/winter to see a little more of the world. On Saturday we were back at Bedgebury for the first of the winter series of jump clinics. A great day with loads of happy riders, including a few new faces which is always nice. The highlight of my day was the way that Lily behaved and jumped for Martin. Now I know there are bound to be lots more ups and downs but she was starting to look a lot more confident and quite the smart little ginger thing. 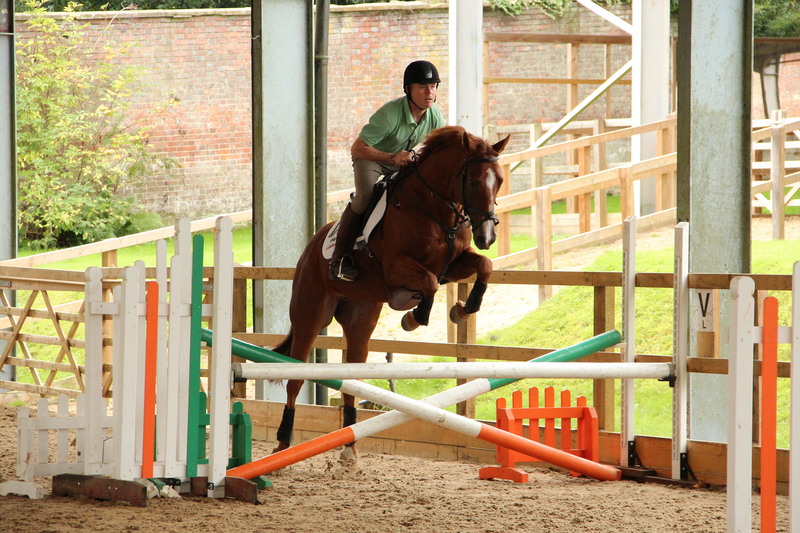 Yesterday I was at the BD Trainers Forum at the College Equestrian Centre, Keysoe. Alas I spent seven hours in traffic there and back and only about five hours at Keysoe. The M25 is a nightmare at the moment. Puts you off leaving home as living as we do almost on the hard shoulder it is hard to get anywhere without using it! It was an interesting day with three of the trainers having very different approaches. There is always something to take away and possibly the message this time for me was that there is more than one way to skin a cat, so long as the skinned cat is what we are all working towards. 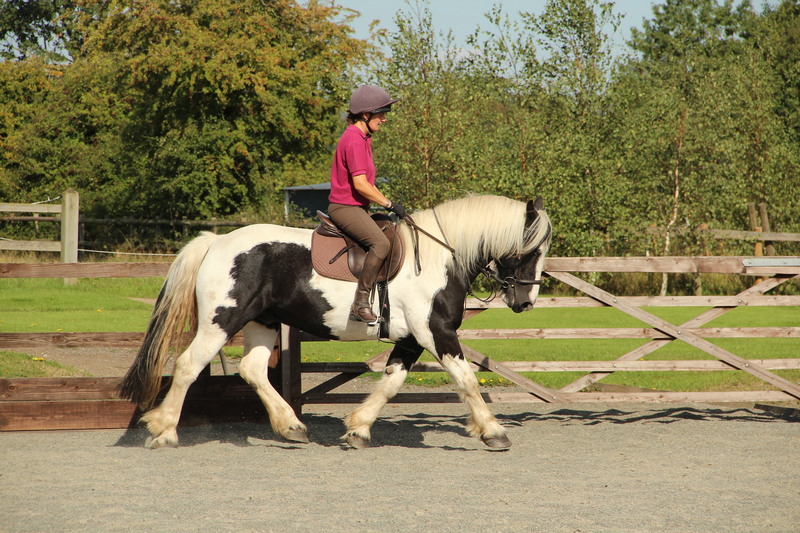 Coming up I have a lesson with Char, another trip out for Ehren but this time to the much busier and bigger Oldencraig where she has never been before, more work on Jasmine, and hopefully I can drag Martin and Lily out SJ schooling somewhere……watch this space!